Complexity in childbirth is growing significantly due to several factors that include increasing maternal age, rising levels of obesity and related diabetes. Women labelled as moderate or high risk are often excluded from useful strategies that low risk women enjoy, such as using water immersion for labour, aromatherapy or mobilisation. They then can immediately follow a pathway of increased surveillance and interventions that may or may not be clinically indicated. 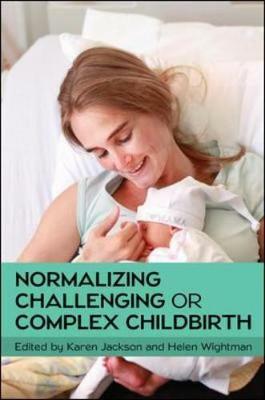 This text offers expert guidance and specialist knowledge on the evidence for normalizing and humanizing complicated or challenging pregnancies, labours and birth. It covers a range of practice issues from multiple births to breech presentations, gestational diabetes to VBAC. Comprehensively written for midwifery students and those already in practice, it’s also useful for obstetricians and medical students who wish to provide more holistic maternity care and promote optimum childbirth. With case studies and helpful summaries of points for practice, this is the go-to text for those looking for up-to-date guidance on maximizing normal physiology and also normalizing or humanizing challenging or complex childbirth in midwifery practice. An essential read for today’s midwife.